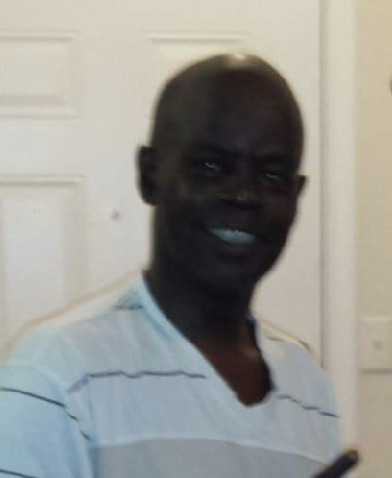 Dwight Nathaniel Showers, 52, of Pensacola, FL, went to be with the Lord September 1, 2018. Dwight was born November 10, 1965 to his loving parents Charles Showers and Patricia Sabbs in Pensacola, FL. Dwight was a devoted member of the Sixth Avenue Baptist Church at an early age. He is preceded in death by his father Charles Showers; mother, Patricia Sabbs; and sister, Renee Rudolph. Dwight is survived by his sons Jonathan (Christan) Showers, Marcus (Alexis) Rogers; Daughter, Fannie Showers; sister, Charlotte (Samuel) Martin; brothers, Nathaniel Jenkins, David Showers, and James Holland; step mother, Elizabeth Showers; step father, Richard Sabbs; grandchildren, Jayvion, Jonathan, Jamilah, Josiah; nieces, Crystal (Marquis) Holmes, Latasha Richardson, Precosha Martin, Shayna Rudolph and a host of other family and friends. A graveside service will take place at 10:00a.m. on Saturday September 8, 2018 at Resthaven Cemetery. To send flowers to the family of Dwight Nathaniel Showers, please visit our Heartfelt Sympathies Store. We encourage you to share any memorable photos or stories about Dwight. All tributes placed on and purchased through this memorial website will remain on in perpetuity for future generations.